Wild Yam / 180 Vcaps - Nature's Way®. 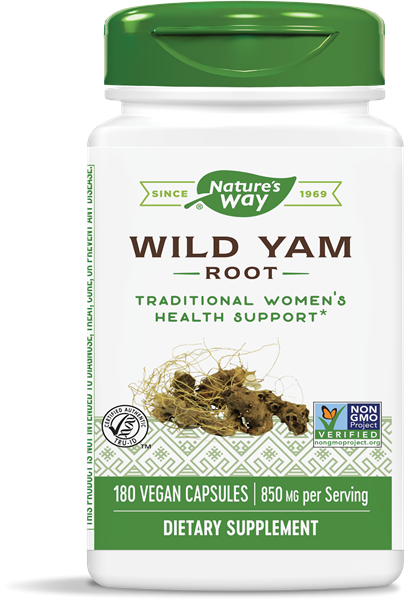 Wild Yam has been used traditionally to support women’s health, as well as help soothe occasional gastrointestinal discomfort. * Our Wild Yam has been carefully tested and produced to superior quality standards.